ATLANTA (AP) — Evelyn Lowery, a pioneer in civil rights and women's empowerment and the wife of the Rev. Joseph Lowery, died Thursday at her home in Georgia, a family spokeswoman said. Family spokeswoman Diane Larche said the 88-year-old Lowery died Thursday morning. She had been hospitalized since Sept. 18 after suffering a severe stroke and returned home on Wednesday night, after medical experts said the stroke had caused irreversible damage. Joseph Lowery said his wife devoted her life to serving others. "My beloved Evelyn was a special woman, whose life was committed to service, especially around the issues of empowering women," Lowery, a past president of the Southern Christian Leadership Conference, said in a statement to The Associated Press. The SCLC, which traces its beginnings to the Montgomery, Ala., bus boycott, organized nonviolent protests as it pushed for an end to segregation around the South during the civil rights movement. 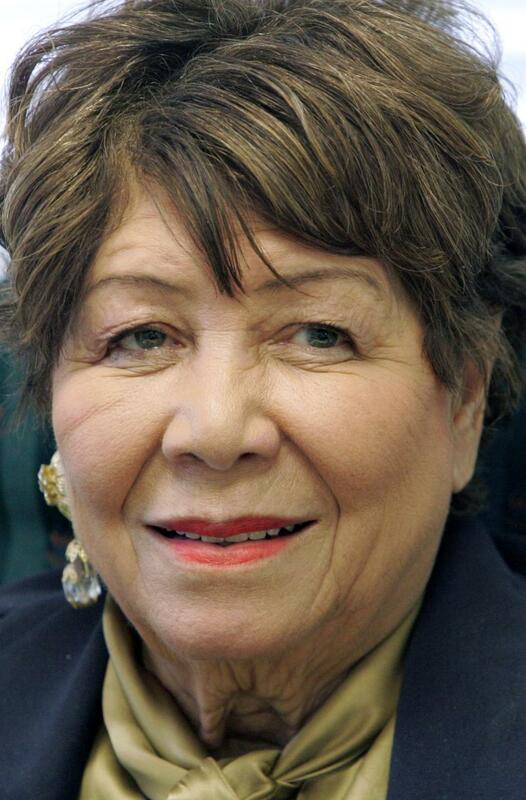 Evelyn Lowery founded SCLC/WOMEN Inc. in 1979. The group works to empower women, girls and families. She also created the Drum Major for Justice Awards, held annually in April in Atlanta. "As a woman and warrior in the non-violent struggle for justice, Mrs. Evelyn Lowery boldly confronted the challenges of racism and sexism, never flinching, never failing in her commitment to the best in the American spirit," said the Rev. Raphael Warnock, senior pastor of Atlanta's Ebenezer Baptist Church, where Martin Luther King, Jr. and his father once preached. U.S. Rep. John Lewis, D-Ga., said he was chairing a Democratic Caucus meeting in the U.S. Capitol when he learned of Evelyn Lowery's death and asked members to observe a moment of silence in her honor. "Mrs. Lowery was a pillar of our community, a valuable participant in the struggle for civil rights, and an admired role model to the young people she mentored," Lewis said in a statement. Former Atlanta Mayor Andrew Young told WXIA-TV in Atlanta, "Nobody was more active and more dedicated and nobody did any more for the civil rights movement than Evelyn Lowery. The unsung heroes of the civil rights movement were always the wives and the mothers." Bernice King, CEO of the Martin Luther King Center, said Evelyn Lowery was a dedicated and energetic leader and one of the most widely respected figures in the civil rights movement. Earlier this month, Joseph and Evelyn Lowery were in Birmingham, Ala., for the 50th anniversary of a church bombing that killed four black girls in 1963. "She was a wonderful mother and wife, and I thank God that she didn't suffer any pain and that I was blessed having her as my partner, my confidant and my best friend for close to 70 years," Joseph Lowery said. "I will miss her each and every day, but as a man of faith, I know that she is with her God."